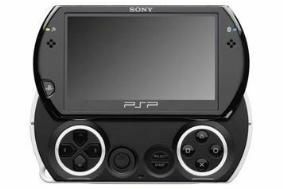 Price cut for Sony PSP Go points to rocky start | What Hi-Fi? Amazon, Game, HMV and Play have all dropped the price of the device from £224.99 to £199.99. Games consoles tend to be fairly tightly priced, especially at launch, so a drop in price so quickly raises eyebrows. The price on launch of the handheld multimedia machine was greeted with surprise by many gamers, so a future price cut was on the cards but it's happened quicker than we thought. Retailers worrying about sales or merely looking to reel in punters in the run-up to Christmas? We shall see.